A small but lovely public park to visit anytime. Monkeys come play with the visitors all the time. 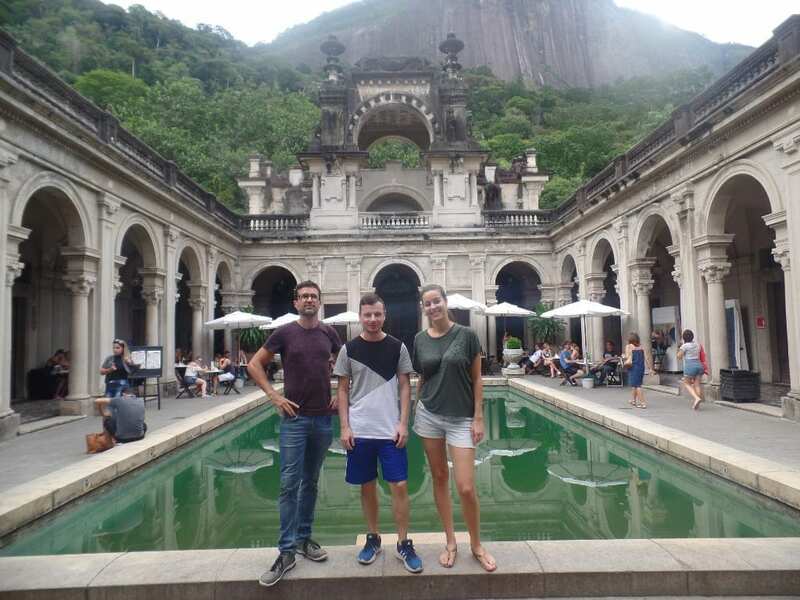 Located at the foot of Corcovado and originated from an old sugar mill, Parque Lage is a historical place in Rio not to be missed. On last Monday’s RioLIVE! 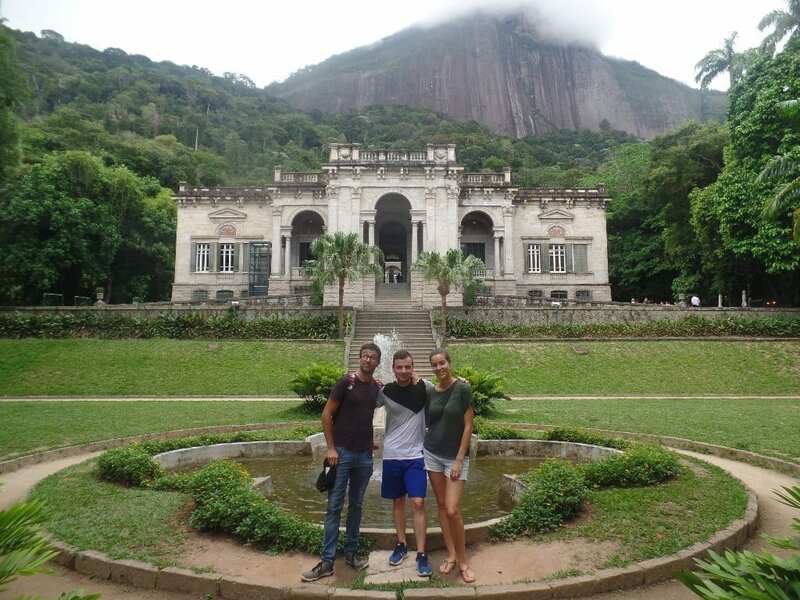 we took our students to appreciate the cloudy afternoon and the wonderful quinta in the middle of the park (a typical Brazilian garden). We walked through the green paths along the park conversing about the environment in Portuguese. 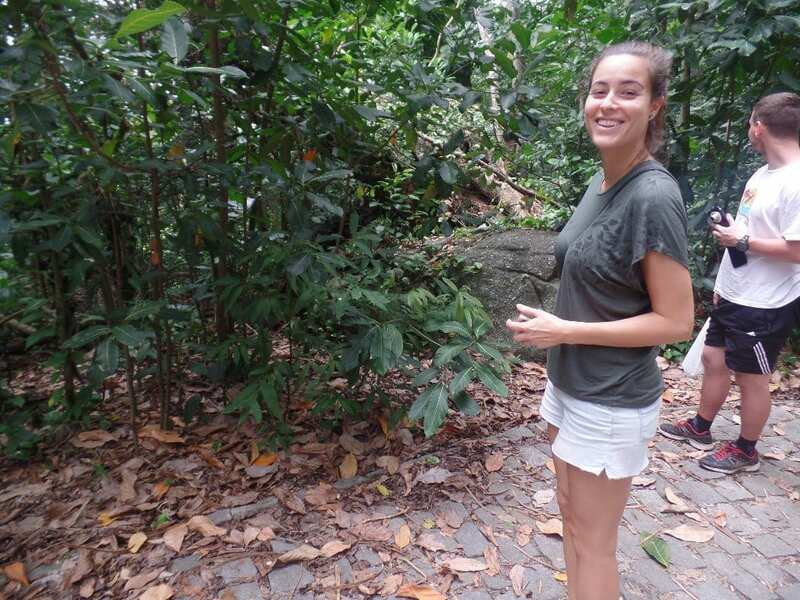 Then, we ran into some monkeys playing by the trees eating the seeds of the jackfruits. Of course we stopped for pictures! After visiting all the attractions in the green area, we entered the mansion and sat down for coffee and a pleasant chat in Portuguese. Come visit a small but lovely public park with us next time for RioLIVE! The mansion lies at the foot of Corcovado.